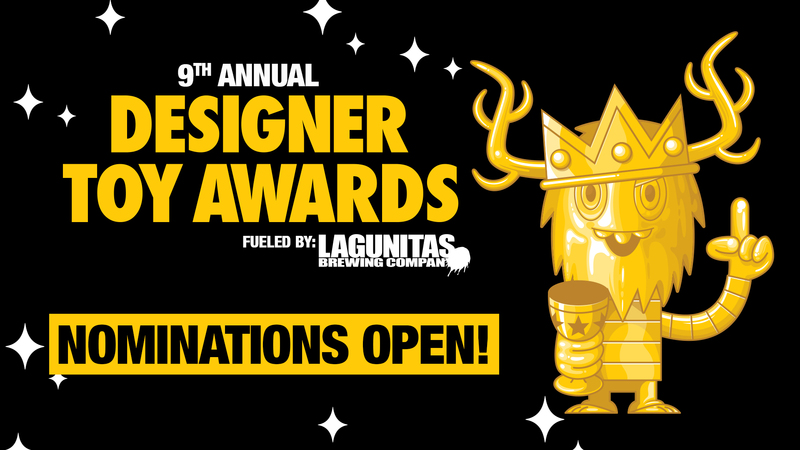 NOMINATIONS OPEN FOR THE 9TH ANNUAL DESIGNER TOY AWARDS! We have officially launched the nomination period for the 8th annual awards! Running from now until Feb 28th (6pm EST), nominations can be submitted by clicking "Create Nomination". (You will need to be logged into your account, or create one). This year's awards will accept nominations for releases, artists, and companies, that were active from January 1st, 2018 to December 31st, 2018. Finalists revealed and Voting Open! 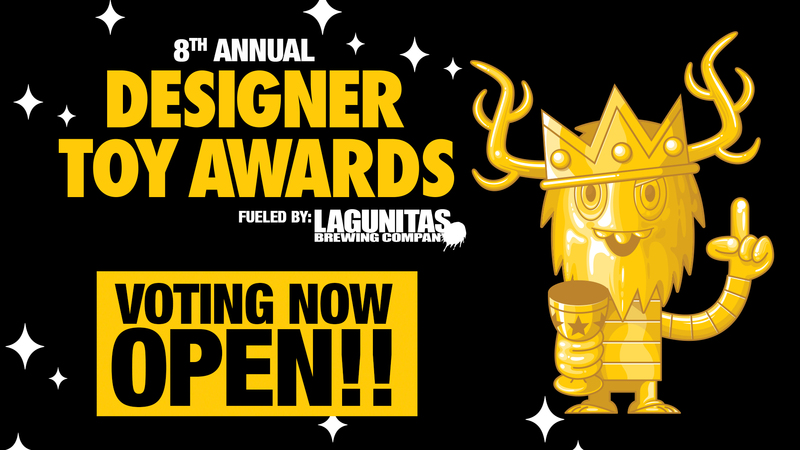 The finalists for the 8th Annual Designer Toy Awards have been announced and Public Voting has begun! Click here see the full list of finalist. We'd like to thank the nomination committees, who have worked tirelessly these last few weeks, to discuss each category and nomination in order to whittle down the 100’s of nominees to these top choices. New category for 2018! Best Production Sculpt!! 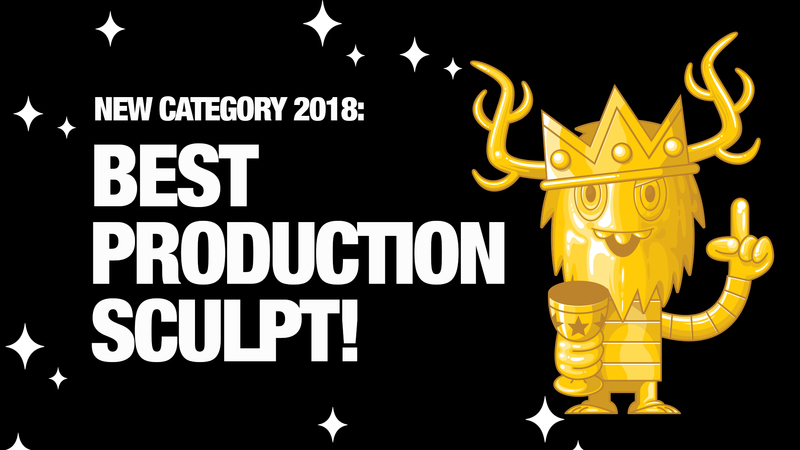 For 2018, we are excited to add a brand new category "Best Production Sculpt!" This new category will recognize a singularly outstanding sculpt for a production toy. This award celebrates a sculpt that exemplifies the creative act of transforming an artists vision into a 3-dimensional object. • Release must be a brand new Designer Toy, or a significantly modified version of a previous release, that was debuted last year. • Release must have been produced in qty's greater than 50 pieces. 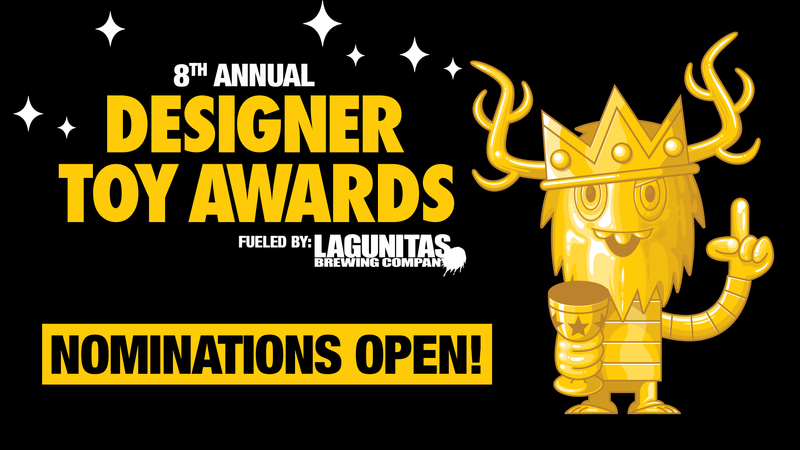 Nominations OPEN for the 8th Annual Designer Toy Awards! Running from now until March 12th (6pm EST), nominations can be submitted by clicking "Create Nomination". (You will need to be logged into your account, or create one). This year's awards will accept nominations for releases, artists, and companies, that were active from January 1st, 2017 to December 31st, 2017. 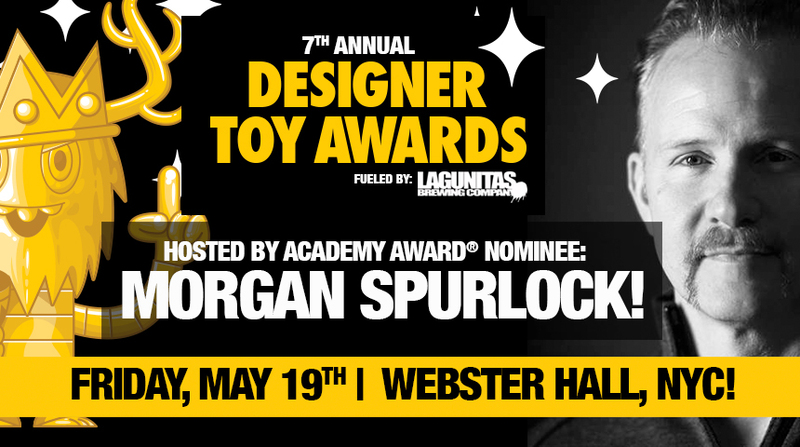 Morgan Spurlock to host The 7th Annual Designer Toy Awards!! We are super excited to announce that The 7th Annual Designer Toy Awards (DTAs), fueled by Lagunitas Brewing Company, will be hosted by Academy Award-nominated writer, director, producer and obsessive toy collector Morgan Spurlock!! 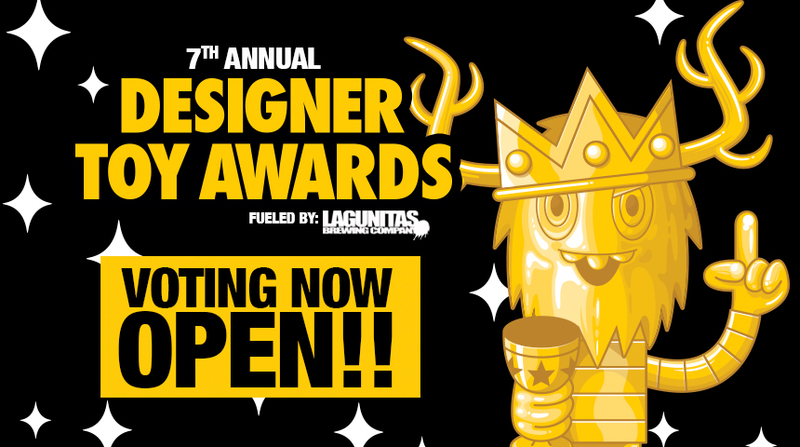 VOTING is now OPEN for the 7th Annual Designer Toy Awards! 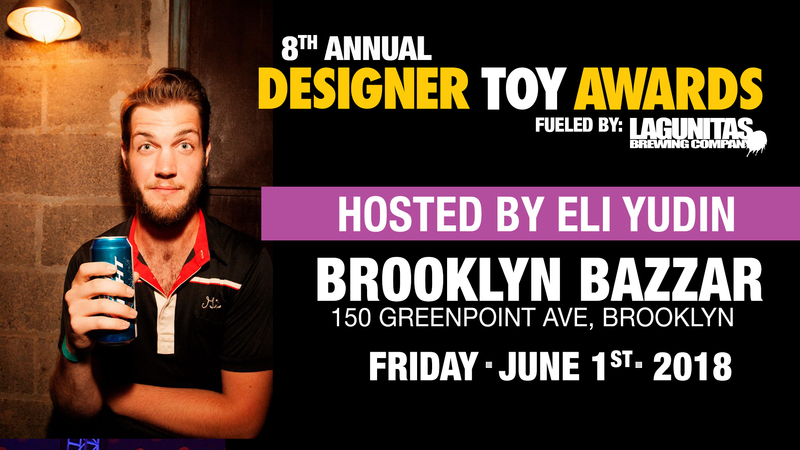 Thank you everyone, for all of the amazing nominations for the 7th Annual Designer Toy Awards! Our nomination committees worked tirelessly to whittle down the 100’s of nominees into the top 9 for Panel Voted, and top 12 for Public voted awards. It's been a labor of love for the committees who have worked tirelessly to discuss daily, each entry and every category in depth! Believe us when we tell you that this process is not for the faint hearted! Get your V.I.P Ticket for the ceremony! 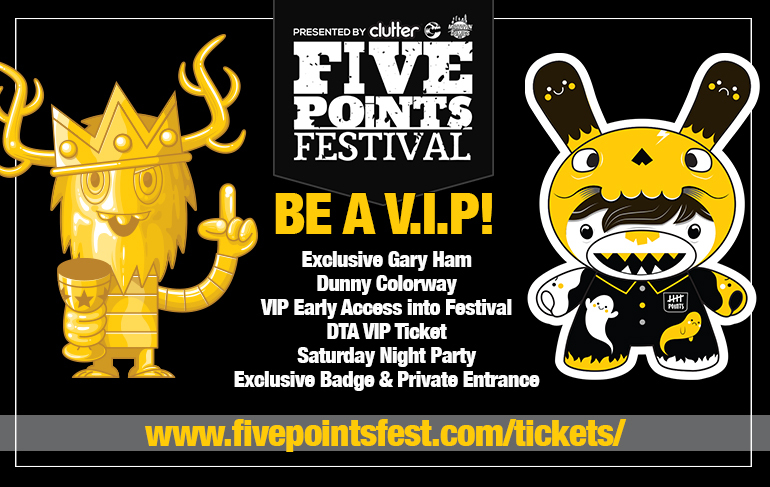 YOU can attend this years Designer Toy Award ceremony as a VIP guest by purchasing a VIP Five Point's Festival Pass here. 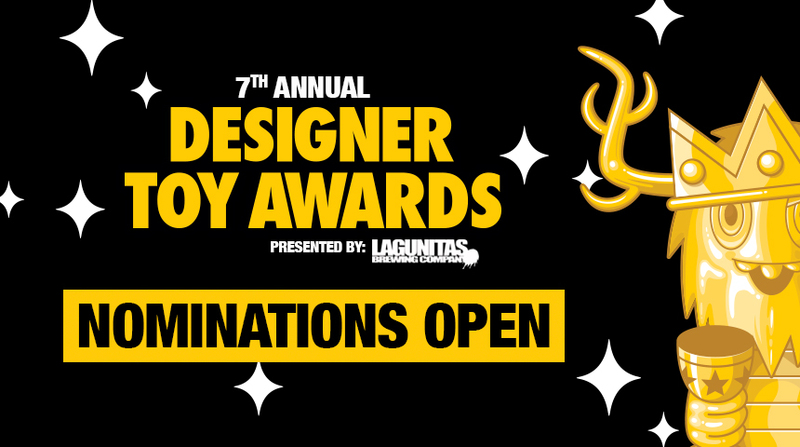 Nominations now open for 7th Annual Designer Toy Awards! The DTAs have now officially launched the nomination period for the 7th annual awards! Running from now until April 7th (6pm EST), nominations can be submitted by clicking "Create Nomination". (You will need to be logged into your account, or create one). This year's awards will accept nominations for releases, artists, and companies, that were active from January 1st, 2016 to December 31st, 2016. DTAs find a new home at Five Points Festival! The Designer Toy Awards are super excited to announce a brand new home for the prestigious annual DTA ceremony – Five Points Festival! The antidote to the average con, Five Points brings tastemakers, misfits, and rebels together with the new, retro, and infamous in a one-of-a-kind marketplace. The DTA's are run as a non-profit initiative. Even donating just a couple of dollars helps us continue to bring you this very special event!